The Battle of La Belle-Famille occurred on July 24, 1759, during the French and Indian War. near the portage of the Niagara river, when a French relief force for the French garrison at Fort Niagara (which the British had under siege) was ambushed and defeated by British and Indian forces. The British knew of the French approach well in advance and constructed a breastwork across the road about two miles south of Fort Niagara. The French were ambushed, their force was routed, with many casualties. Captain Lignery was mortally wounded in the battle. 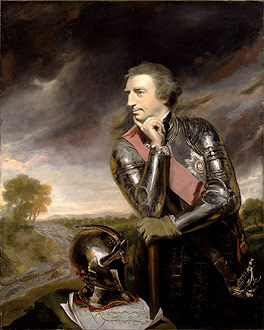 British victories continued in the all theaters in the Annus Mirabilis of 1759, when they finally captured Ticonderoga, James Wolfe defeated Montcalm at Quebec (in a battle that claimed the lives of both commanders), and victory at Fort Niagara successfully cut off the French frontier forts further to the west and south. The victory was made complete in 1760, when, despite losing outside Quebec City in the Battle of Sainte-Foy, the British were able to prevent French relief ships from arriving in the naval Battle of the Restigouche while their armies marched on Montreal from three sides.